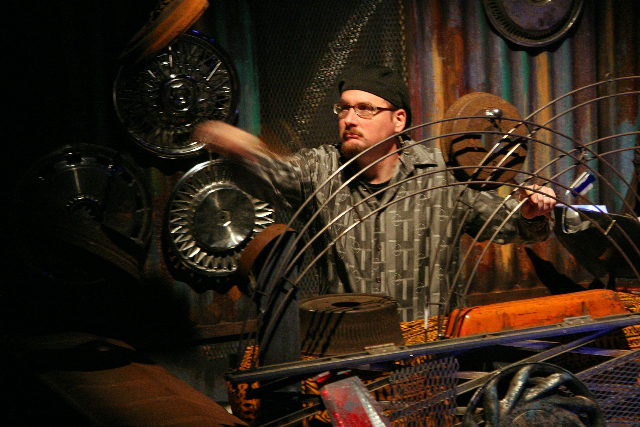 Mark Bruckner (Composer/Music Director/Sound Designer) is a New York Innovative Theater and Audelco Award-winning composer, and Henry Hewes American Theatre Wing sound design nominee. He has received commissions from NYC companies, regional theatres, universities, and producing organizations across the country to compose, direct music, and create sound designs for classic, contemporary, and new plays and musicals. Off-Broadway credits include work with the Adhesive Theater Project, Algonquin Theatre Productions, the Bushwick Starr, Circle Rep, Imua Theatre, LaMama E.T.C., The Lone Wolf Tribe, The New Federal Theatre (NFT), The Women’s Project, and the Workshop Theatre, to name a few. Recent work includes original music, sound and wearable technology design for Fen by Caryl Churchill (Brooklyn Center for the Performing Arts); music and sound design for The God Projekt by Kevin Augustine and the Lone Wolf Tribe (LaMama, ETC 50th anniversary season opening production); music and sound design for the 2016 U.S. premiere of Privatopia by Maria Efsthatiadis (LaGuardia Performing Arts Center); original songs for the the 2015 premiere of Exposed by Robert Brustein (Boston Playwright’s Theater at the Boston Center for American Performance); music, sound, and live foley for the premiere of Erin Courtney’s The Service Road (Adhesive Theater Company); music direction the Audelco-award winning revival of Martin Duberman’s In White America produced by the New Federal Theater and Castillo Theater; and original music and sound design for the 2017 world premiere of Royal Jelly by GPTC alum, Paul Cameron Hardy (Brooklyn College).